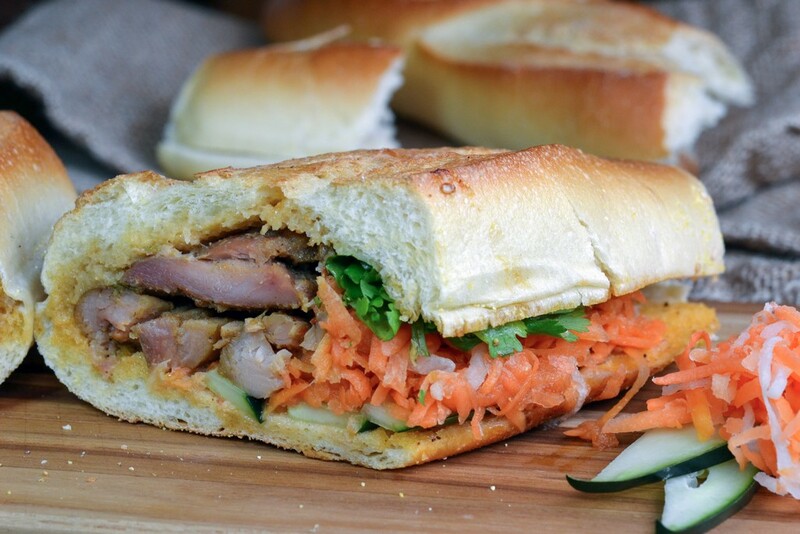 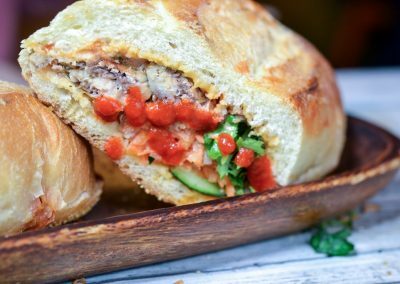 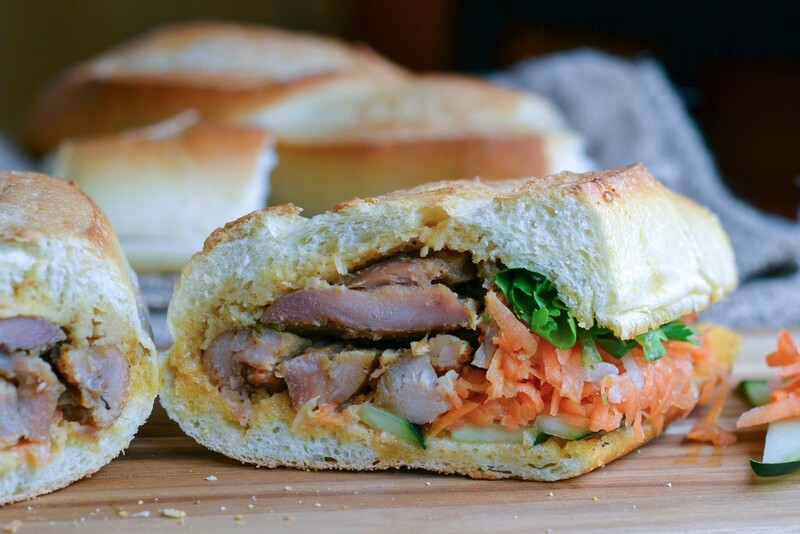 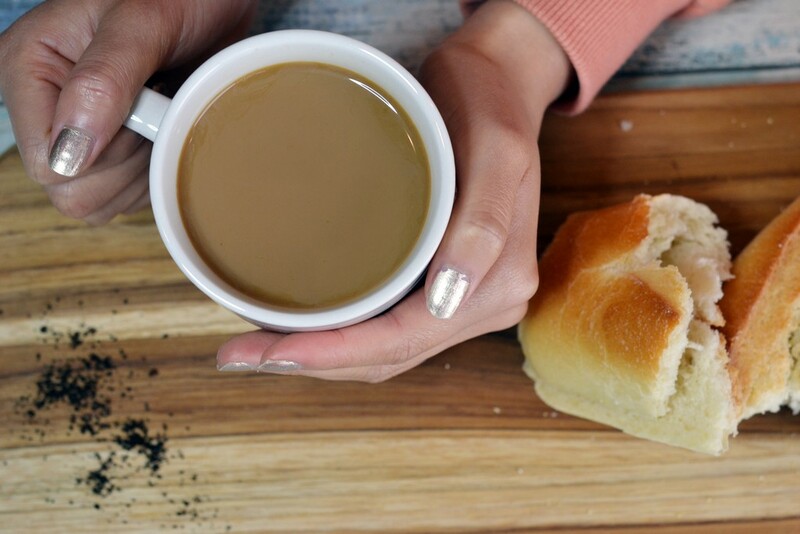 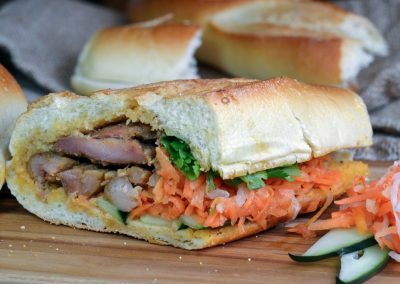 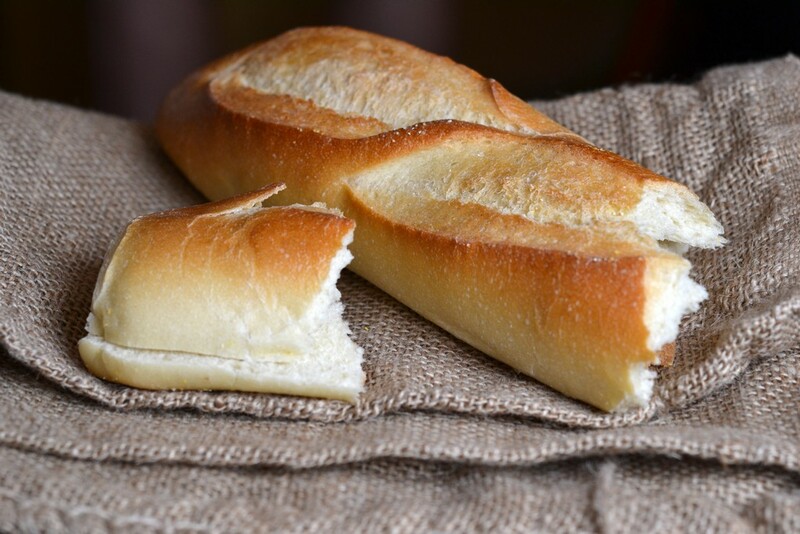 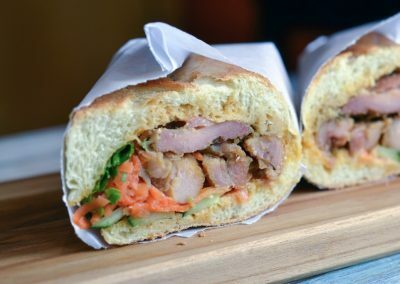 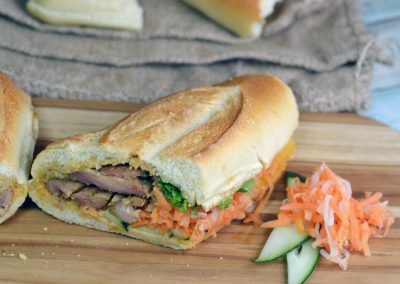 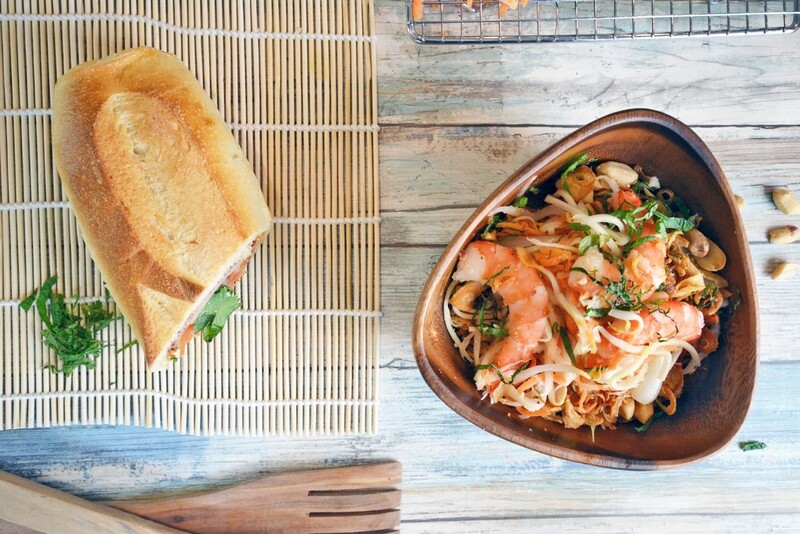 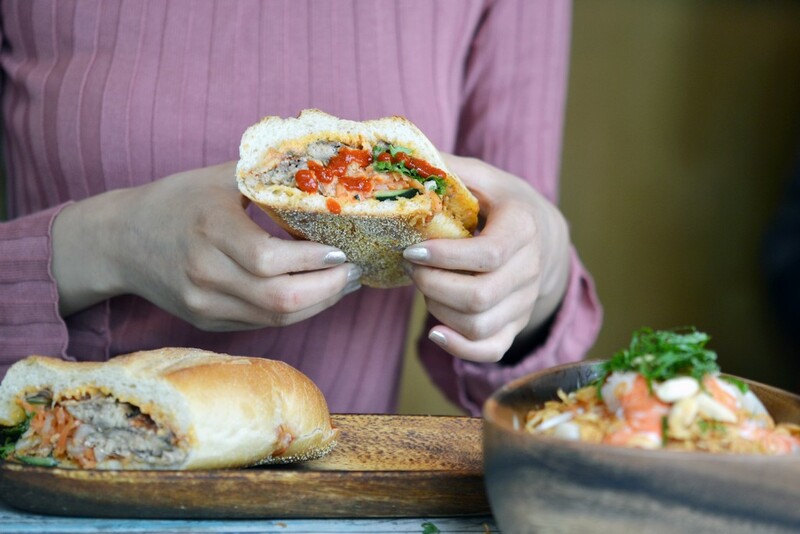 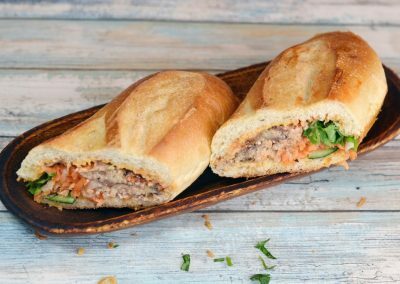 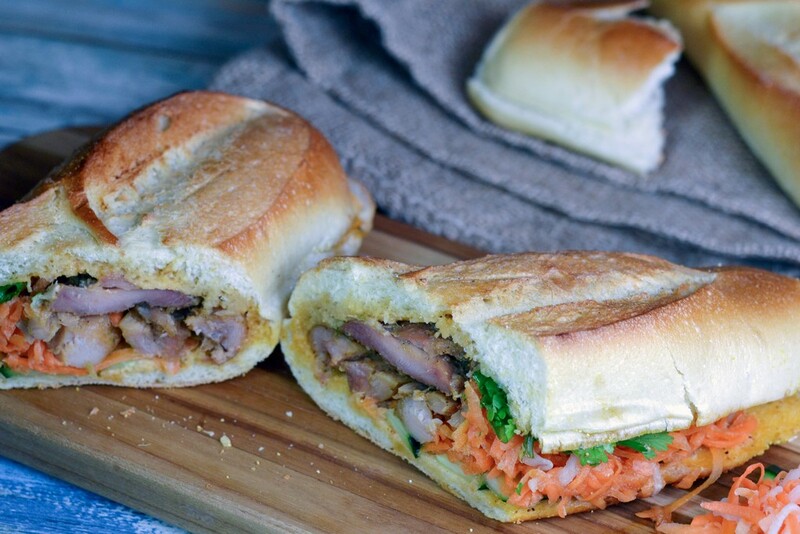 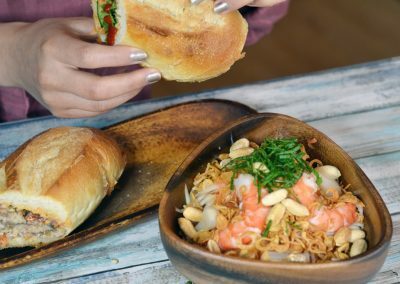 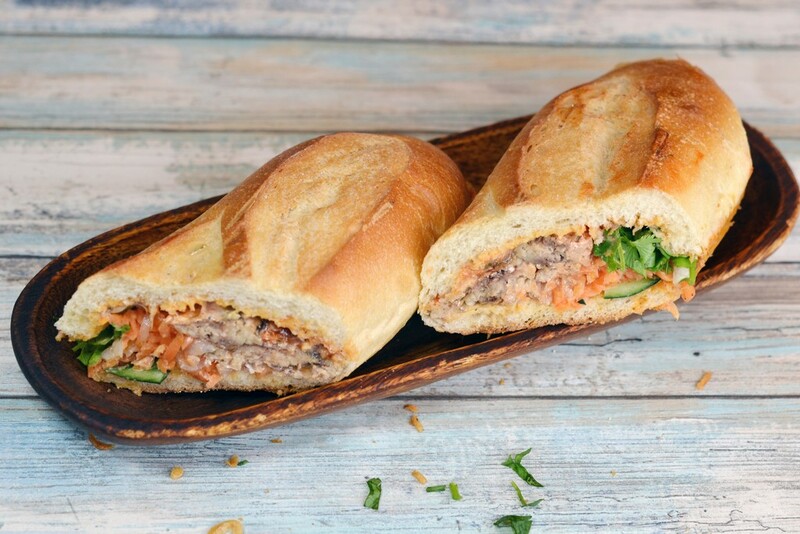 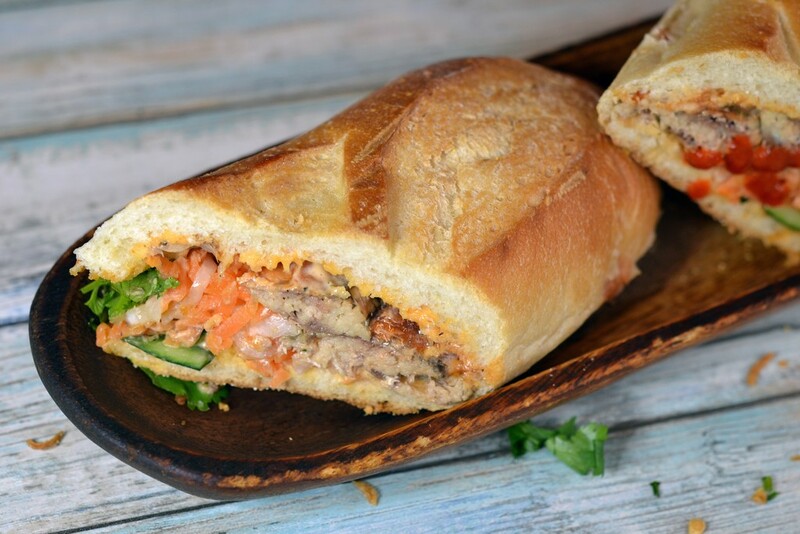 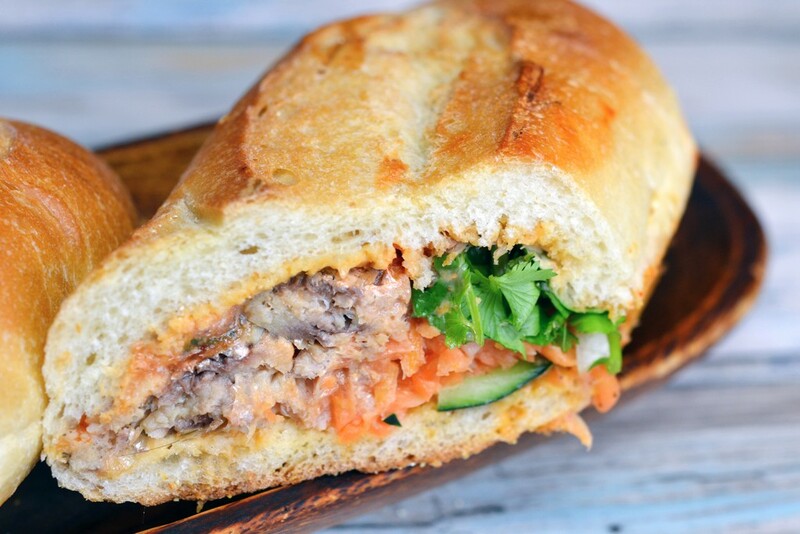 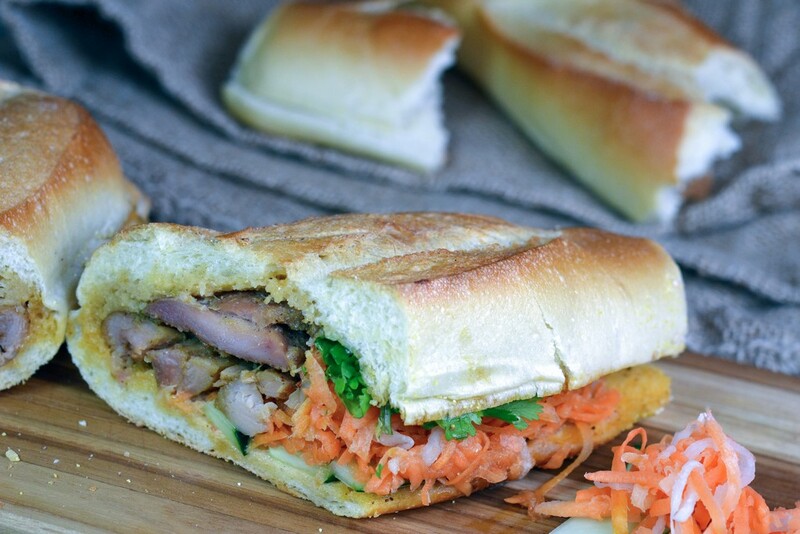 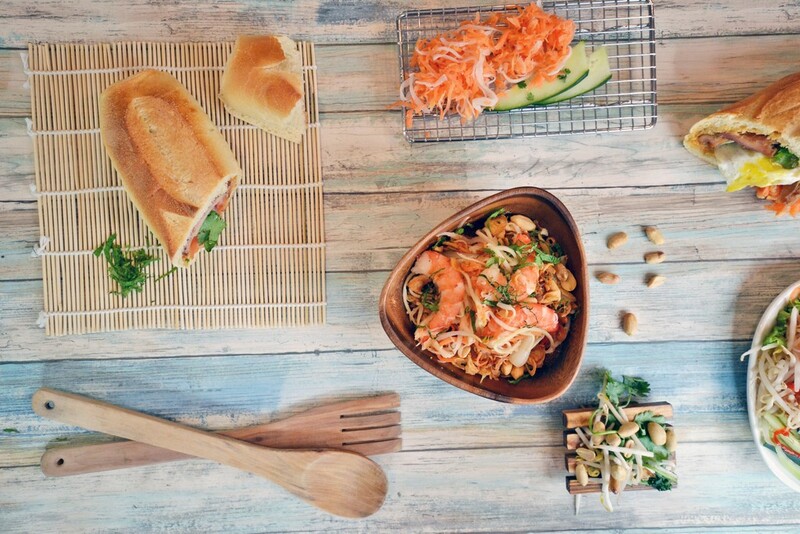 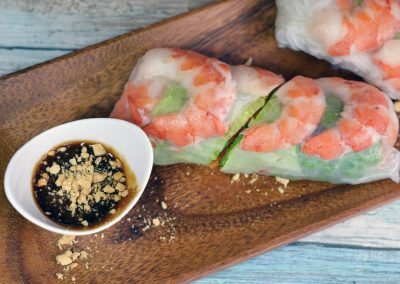 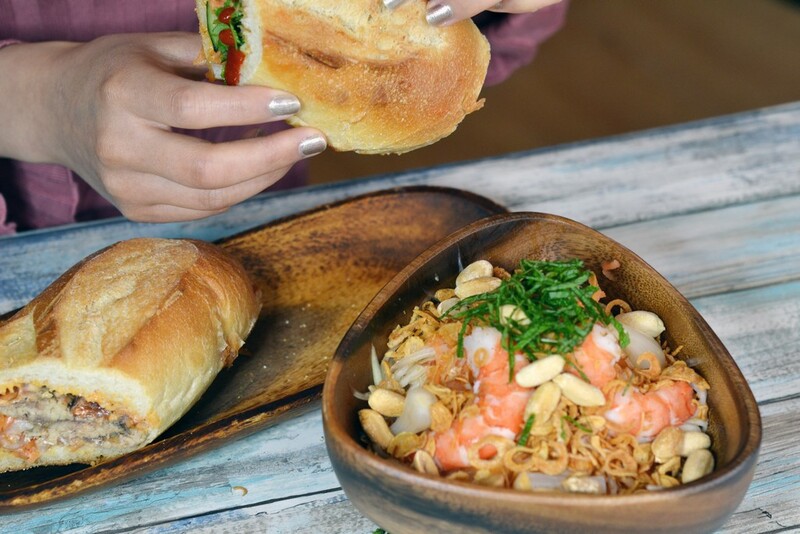 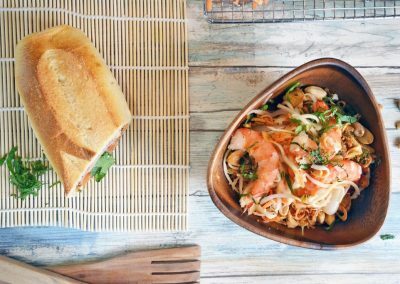 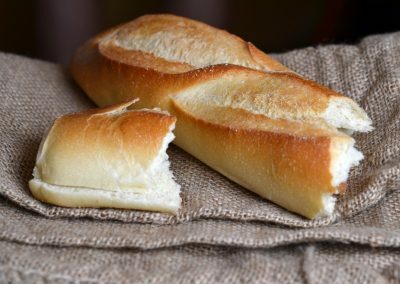 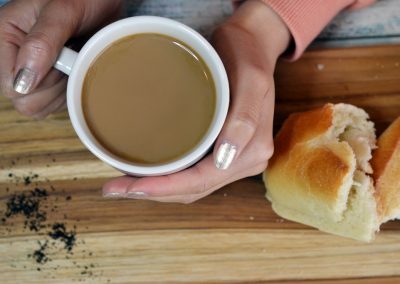 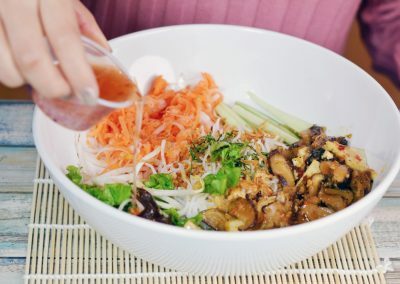 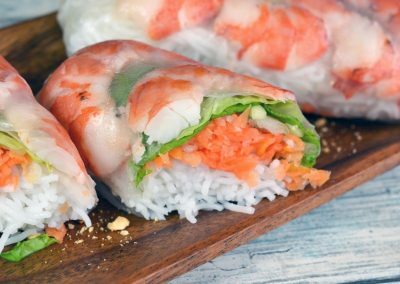 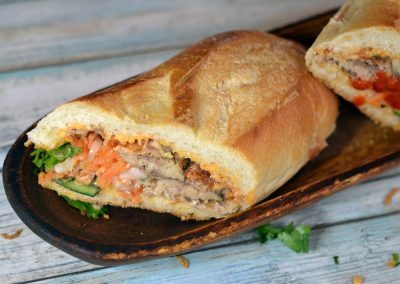 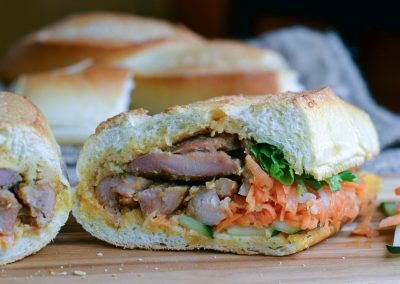 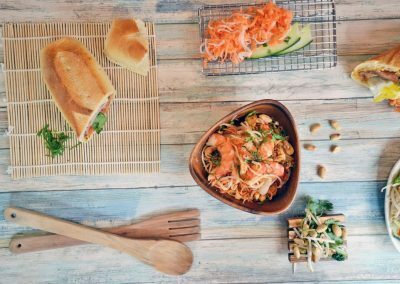 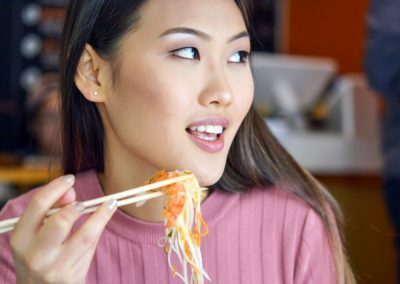 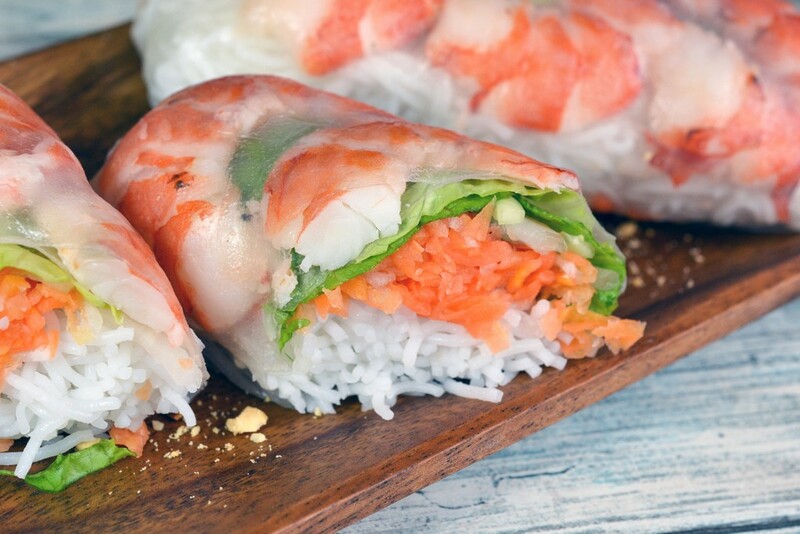 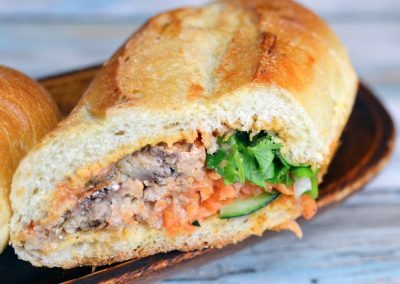 Bánh mì is a Vietnamese sandwich on a toasted French baguette boasting a medley of sweet, savory, tart, spicy, warm and cool ingredients exploding together in the perfect bite! 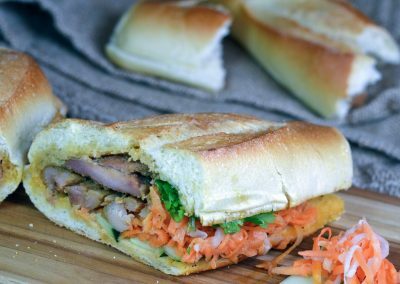 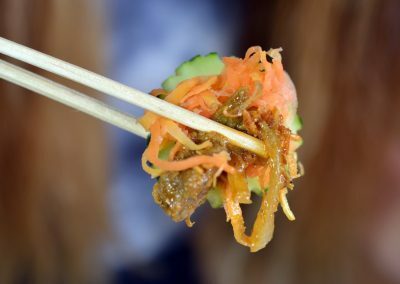 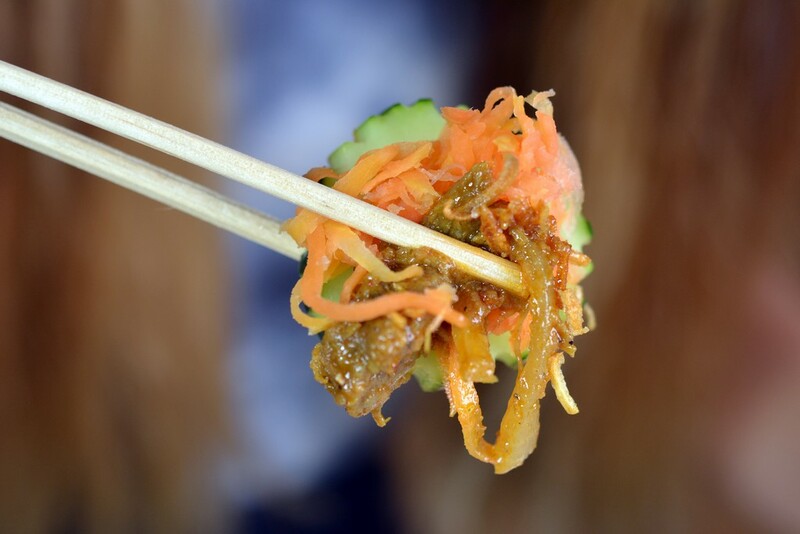 Explore the simple complexity of the Bánh mì blending the earthy liver pâté, crisp pickled daikon & carrots, sprigs of fresh cilantro. 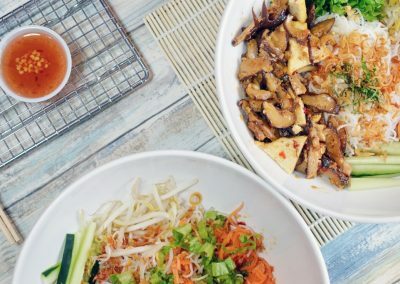 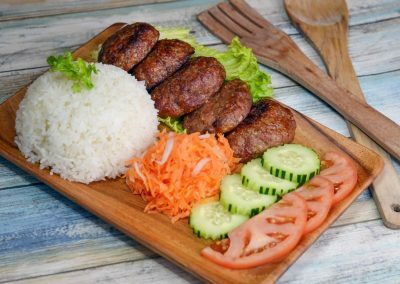 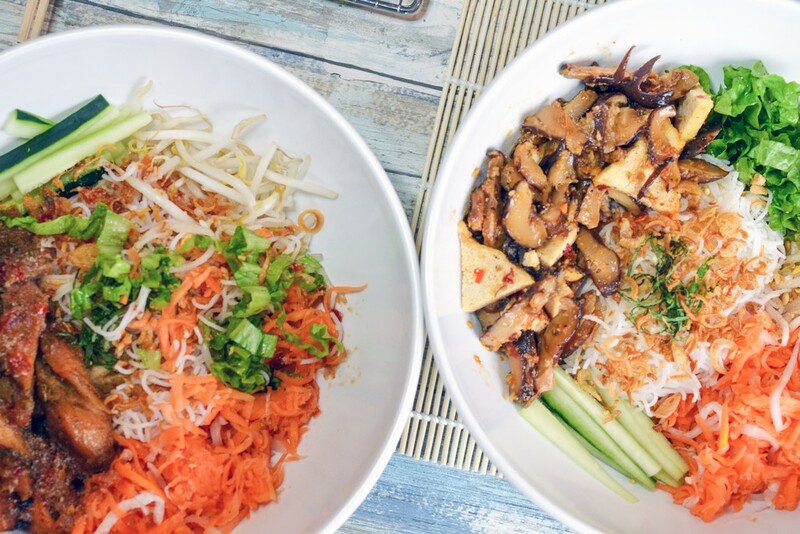 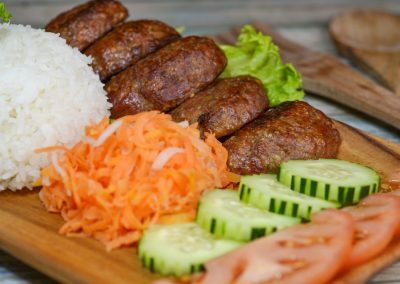 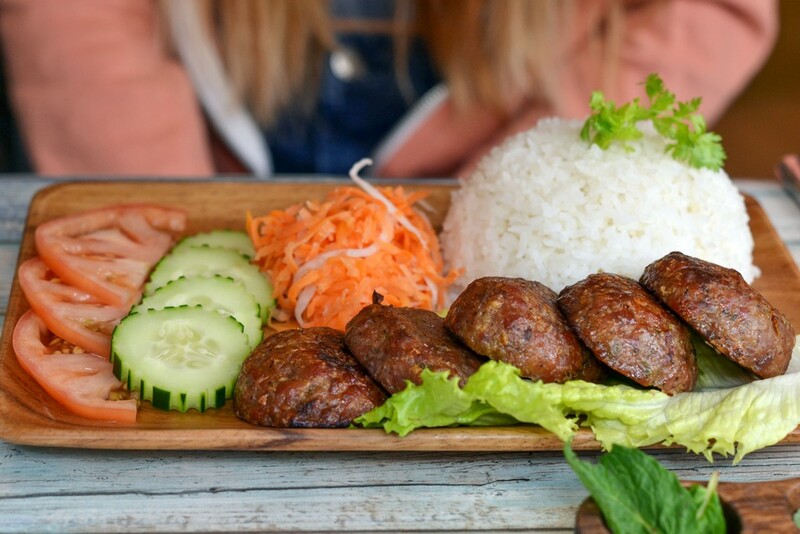 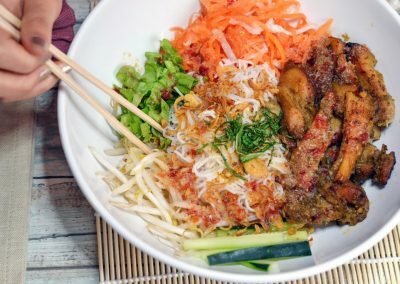 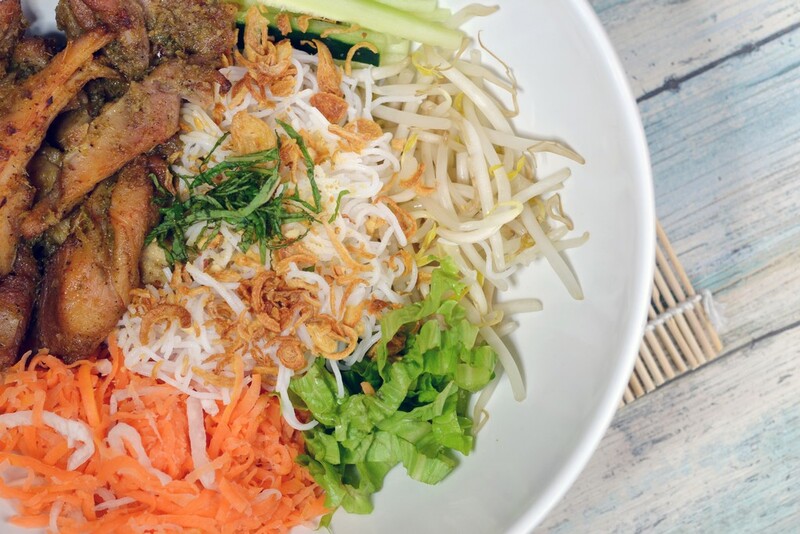 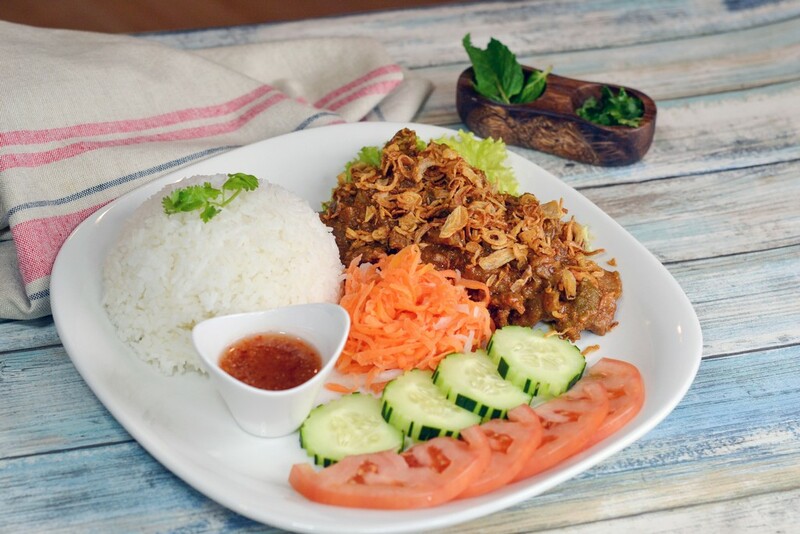 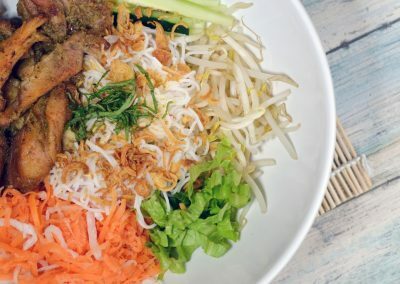 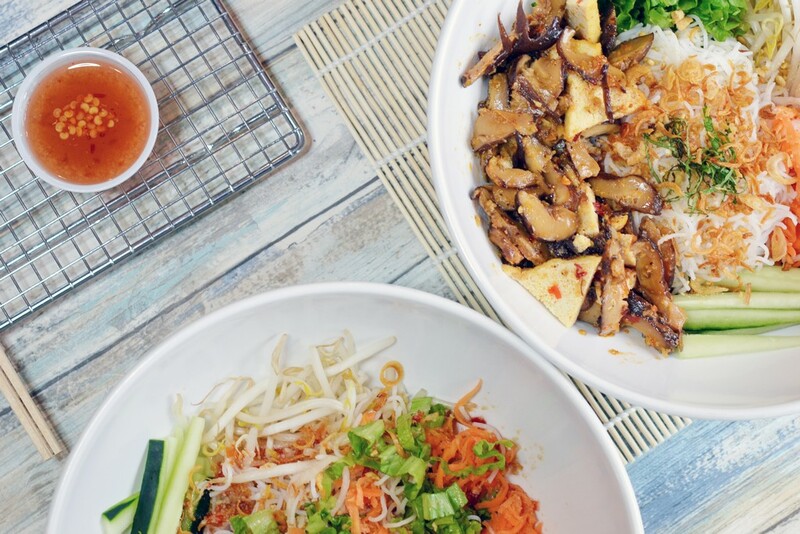 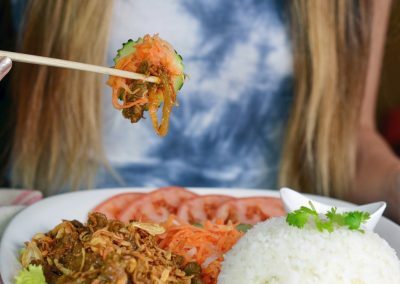 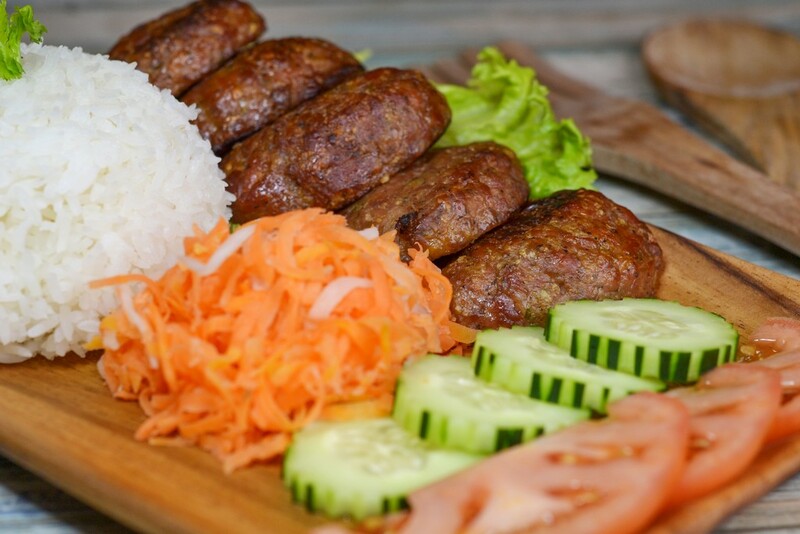 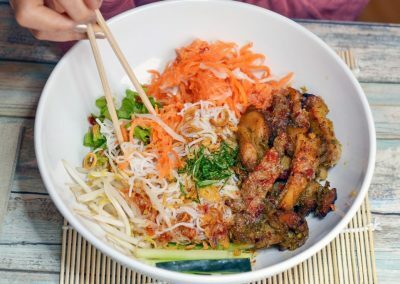 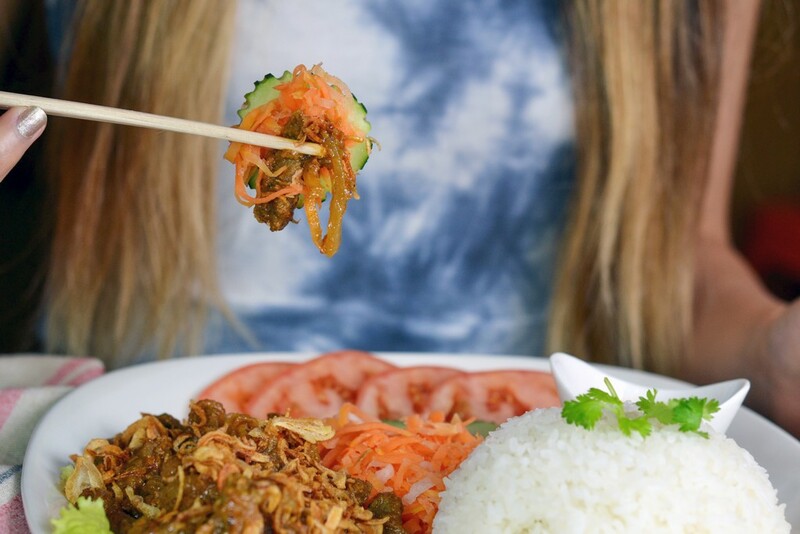 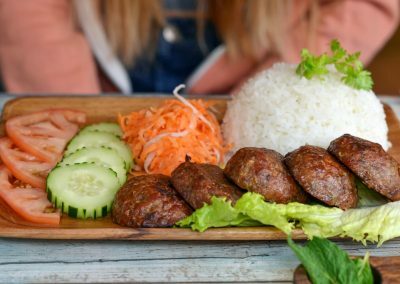 Choices of Coconut Curry Beef Flank, Grilled Lemongrass Catfish Filet, BBQ Pork Patties, cured Vietnamese Ham, Grilled Lemongrass Chicken, Tangy Sardines and a Savory Vegan Mushroom. 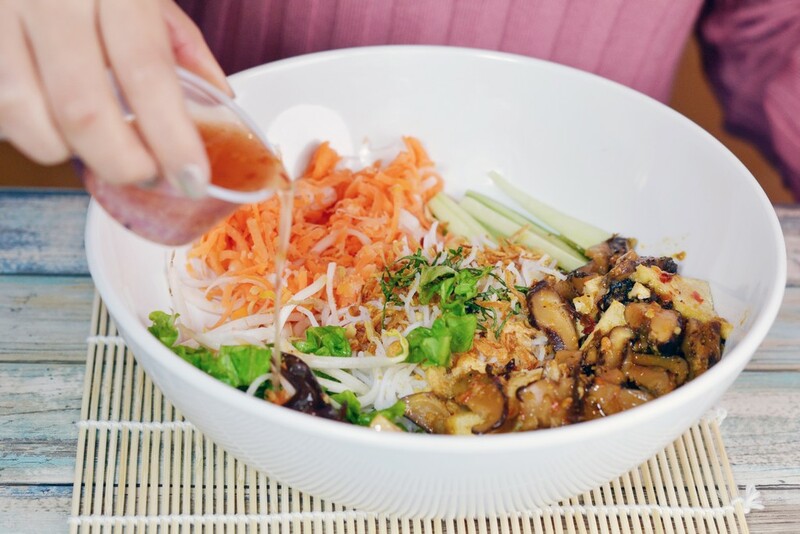 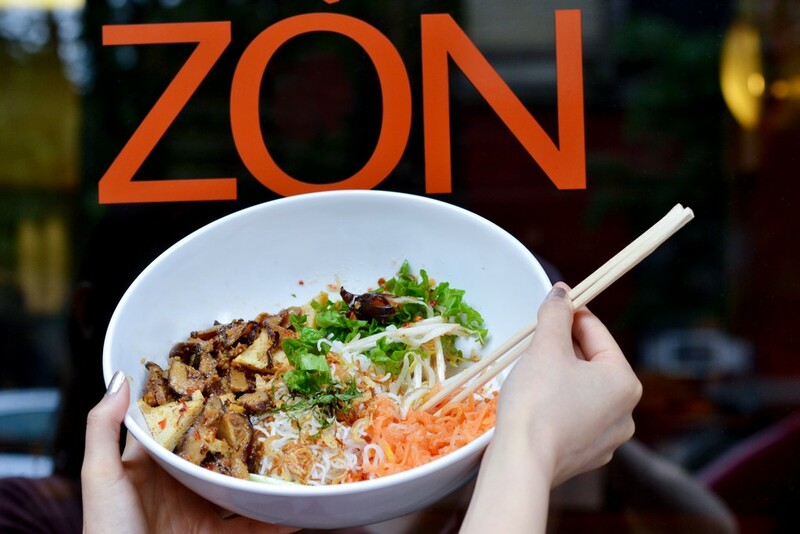 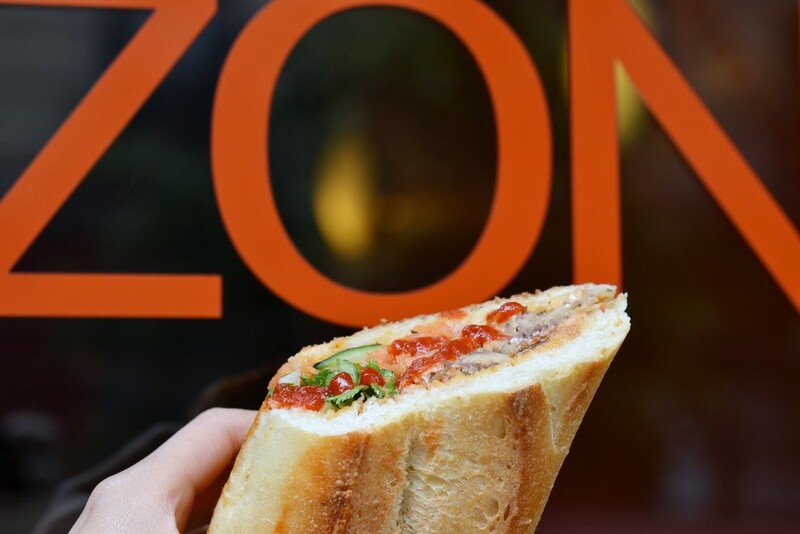 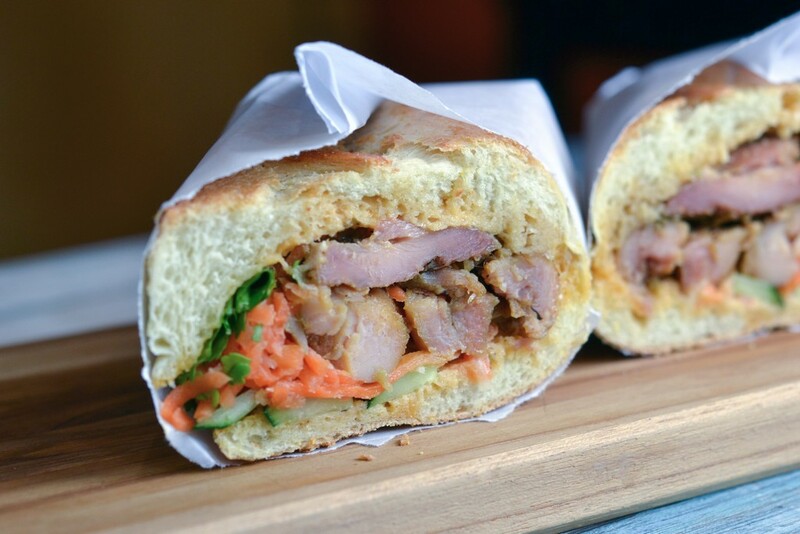 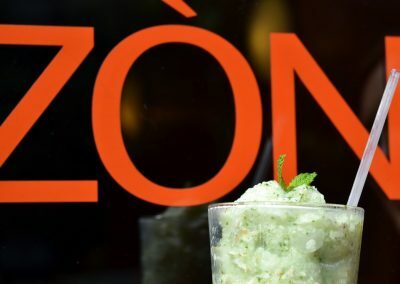 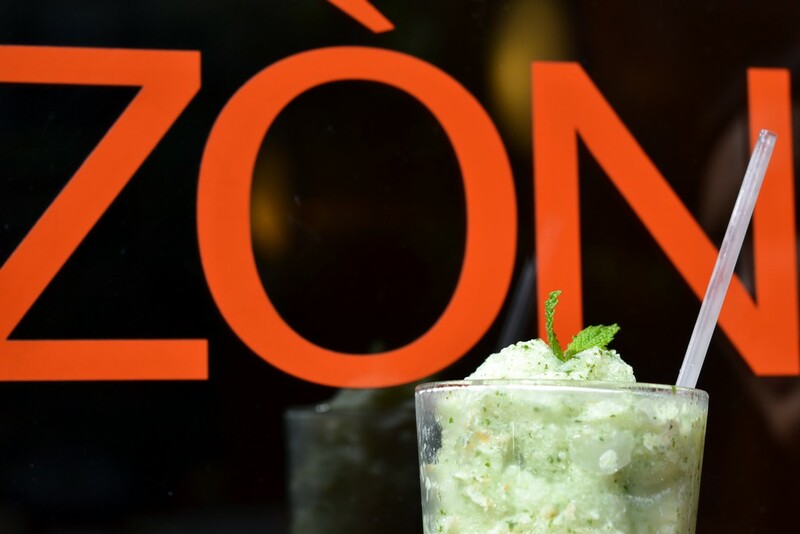 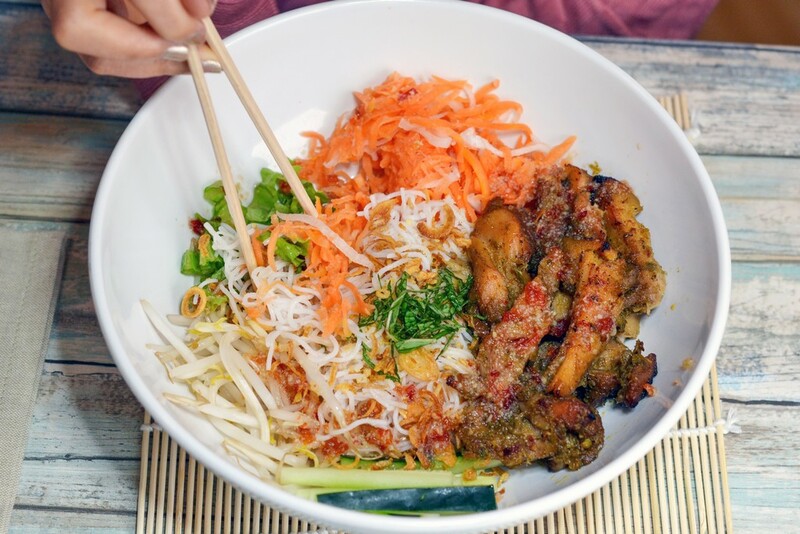 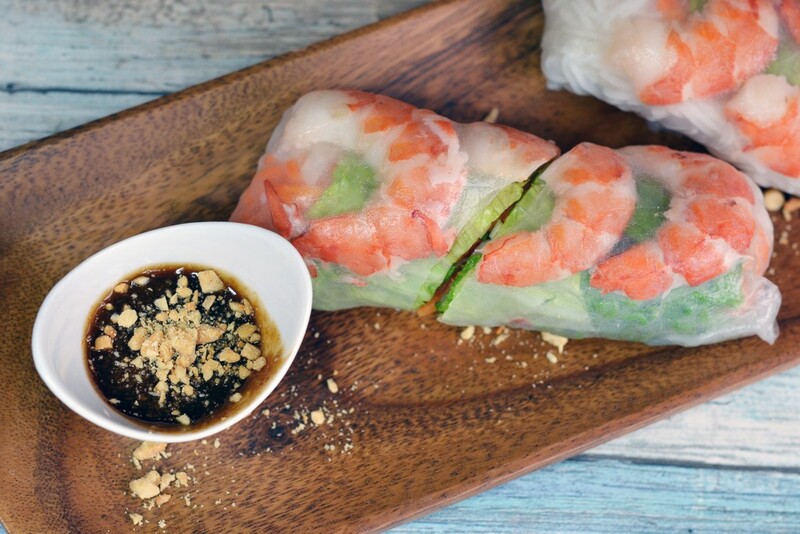 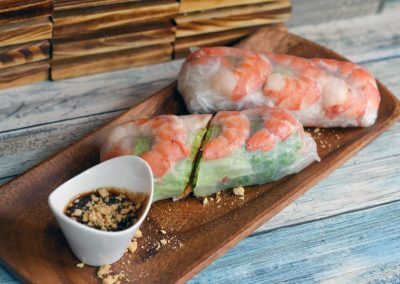 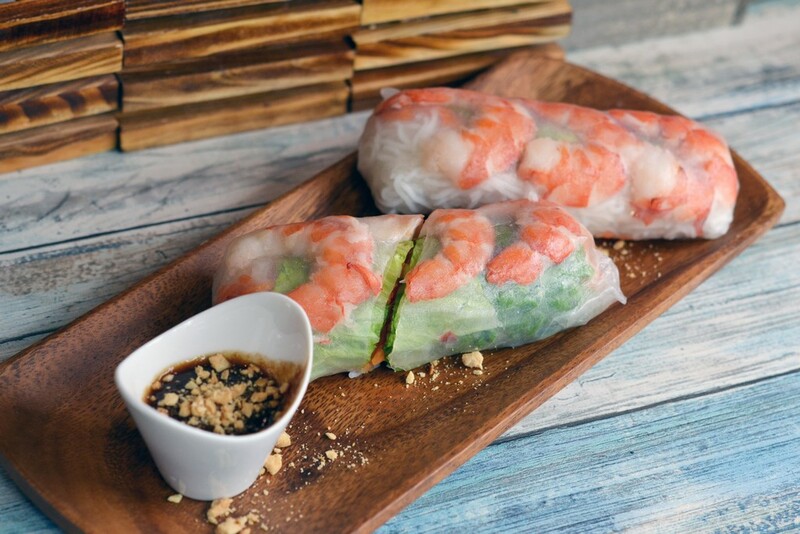 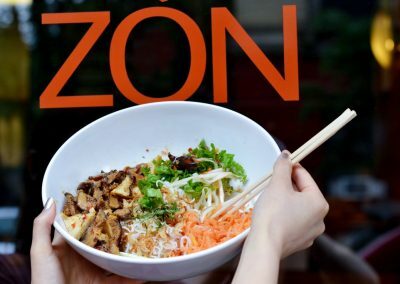 Stop by Zòn for a freshly made Bánh mì and savor the tastes of Saigon in the heart of the East Village.